Breaking news!!! Larry is leaving Romania!!! him. Sadly the first post got very little response, so we wrote another and when that didn’t work we wrote a 3rd post about Larry. This was back in May and despite our best efforts the months continued to tick by with no one showing any interest in this special, unlucky dog. Now we finally have some fantastic news – Larry will finally be safe! 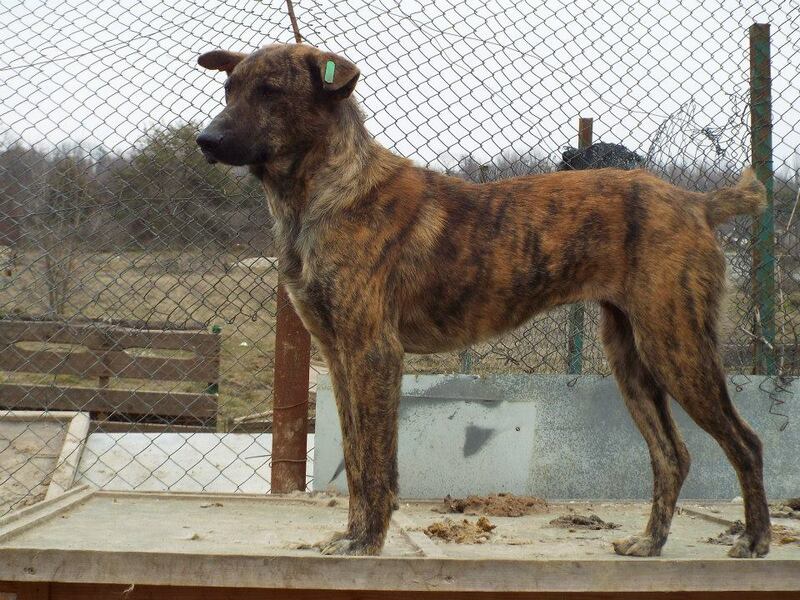 On June 6th he will travel to Tierheim Lingen in Germany where he will be cared for until he finds his forever home. Tierheim Lingen is an animal shelter but unlike the shelters in Romania the dogs are loved and cared for and in no danger of being killed and are far less likely to come in contact with nasty diseases or get injured. I can’t tell you how happy we are. 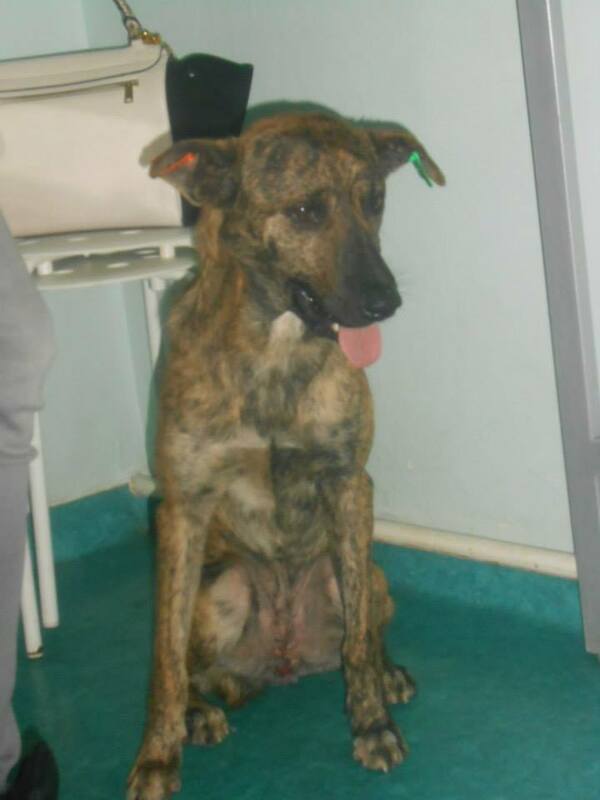 This is a dog that has had his fair share of bad luck and he is a lovely chap that deserves a chance at life. His journey will not end at the German shelter – he will have one final journey to make to his forever home, but the chapter of his life that was full of pain, suffering and constant danger will now be closed. 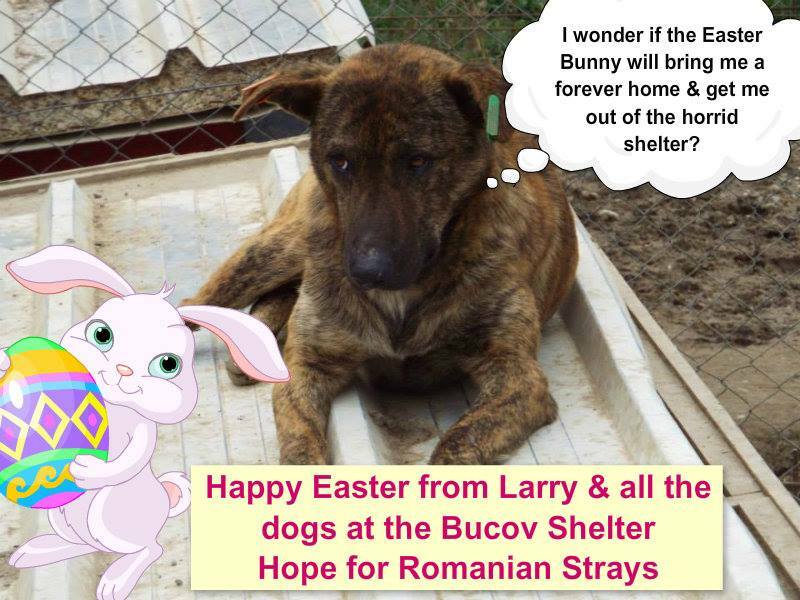 We still have so many dogs desperate for homes but Larry now will no longer be on our list for those that we want to save from the jaws of death in Romania. Safe travels Larry and good luck with the new chapter in your life. We didn’t quite find you a home for Easter but this was worth the wait! It’s not all about dogs – we rescue cats too! 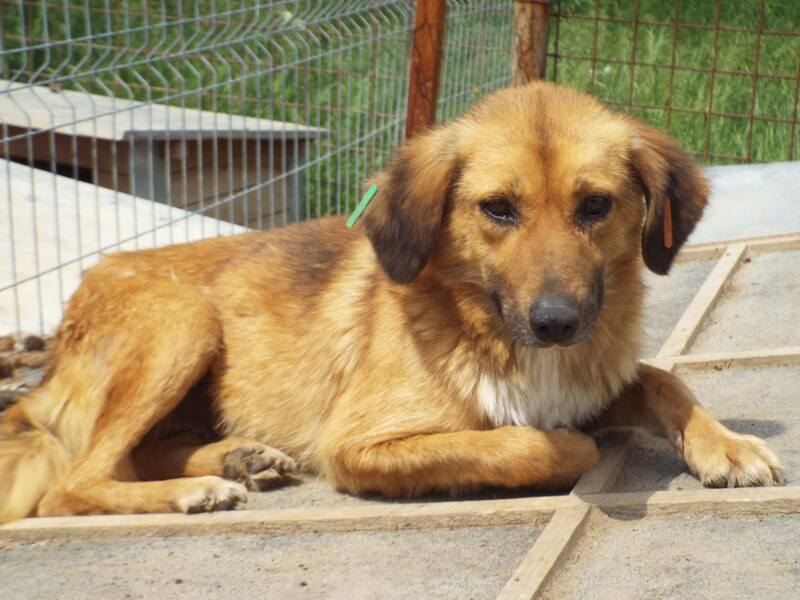 As you know we work tirelessly to rescue stray and injured dogs in Romania. What you may not know is that we also sometimes rescue cats. Whilst the stray dogs and the barbaric way they are abused and mistreated in Romania has made headline news, cats also got mistreated, abused and abandoned. My very own little Baby Ninja is a great example of one of our rescues. She was part of a group of 16 kittens and cats that we urgently needed to rehome a couple of years ago and I ended up adopting her. 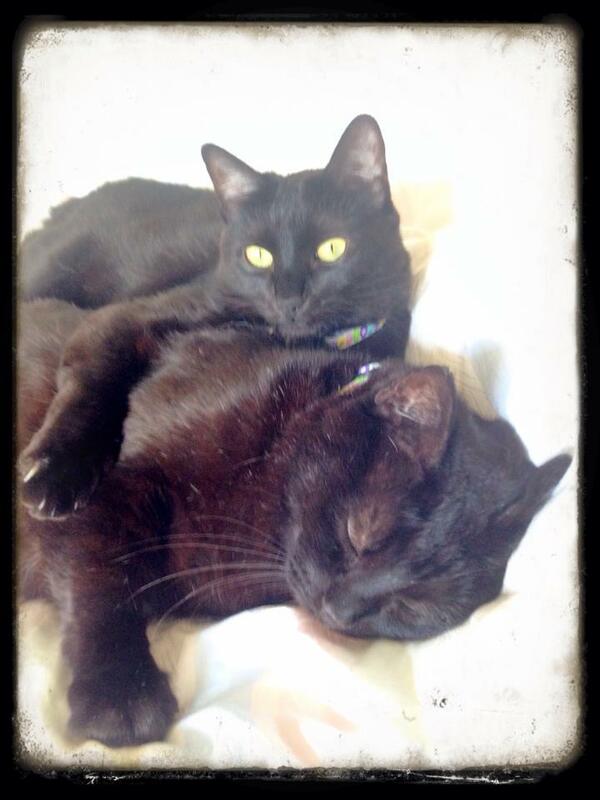 You can read her story here and while Don, my other cat, was not initially overjoyed at her tiny little presence now they are great together, playing, cuddling and washing each other. I always say adopting Ninja was one of the best the best things I did (the other one was adopting Don). Now again we have some recent rescues. First there is little Sophie. This beautiful, little lady came to us injured – no doubt the result of being hit by a car – and unfortunately as a result her back legs are paralysed. We worked really hard with our Vet Team Praxis Vetlife as well a PetHelp Proteze Veterinare to help this little lady and as a result she is now doing well and her her own set of wheels. 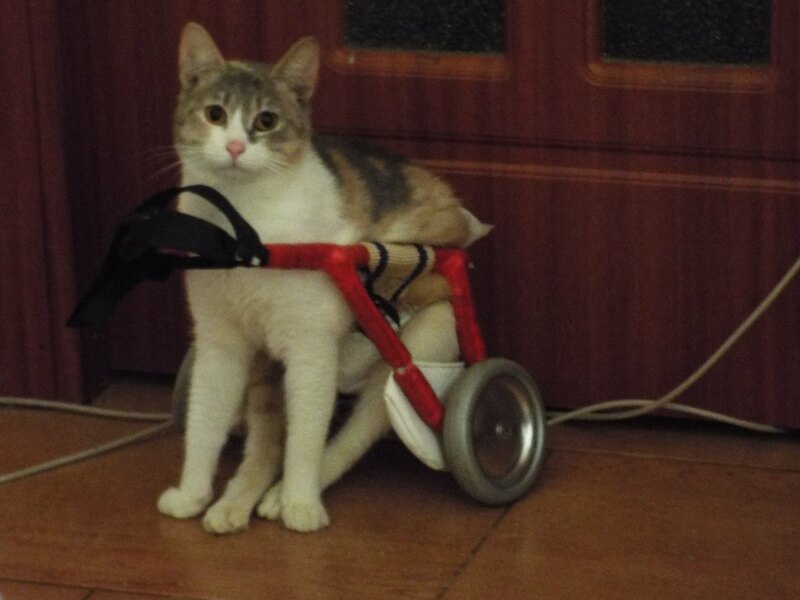 She is still very shy and scared but as always we don’t give up on injured animals, but work with them until they are better, or in Sophie’s case comfortable with her new wheels. The next batch of rescues are 4 tiny survivors, abandoned but fortunately found when they were 1 day old. 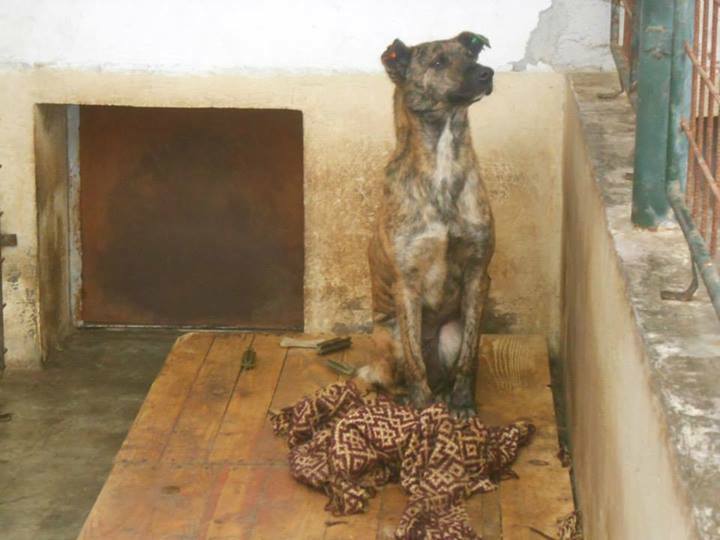 This is another sad reality of Romania – people don’t bother to get their pets neutered and when they give birth they just dump the babies and leave them to starve or freeze to death, or just kill them (drowning, beating to death and so forth). 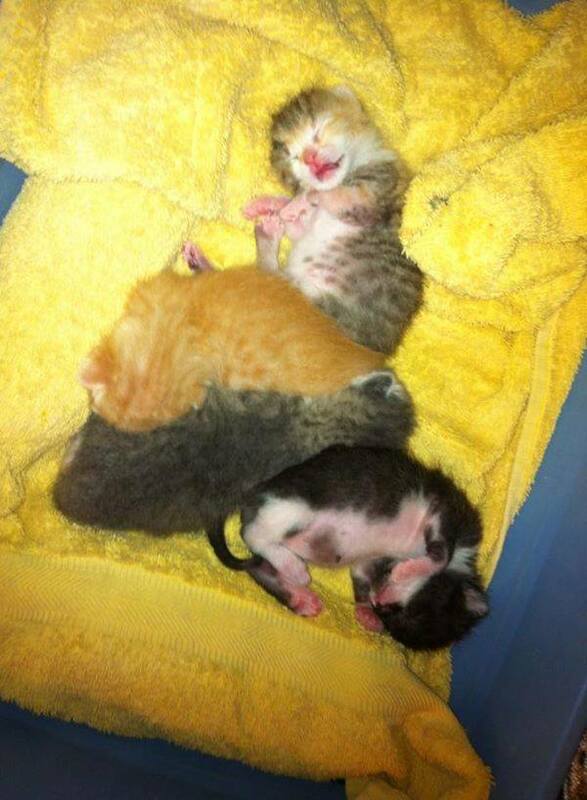 These little babies were incredibly lucky that they were found when they were. They were taken in, hand fed and now, 6 weeks later, we have 2 lovely healthy boys and 2 gorgeous little girls. They have now learned to eat alone and will soon be needing to get them their first vaccines. Here of course is the rub. As always we are struggling to pay vets bills and we could do with some Godparents to volunteer to sponsor our little kittens and help fund their vaccines, and when they are old enough their sterilisation. 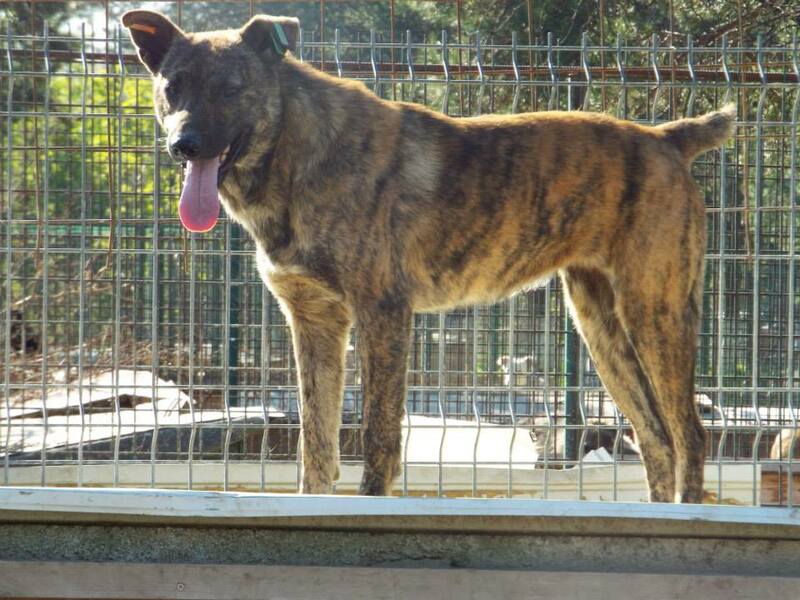 Of course we will also be looking for forever homes ones they are big enough to travel. Would you be interested in sponsoring a kitten? Or perhaps helping with Sophie’s vet bill? Or how about giving one of these adorable little souls a loving forever homes. Or perhaps you know someone who would be? Either way please let us know at hopeforstrays@yahoo.com or donate at the same address via paypal.